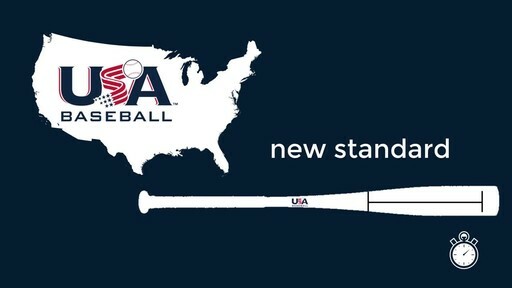 For the upcoming 2018 baseball season, a new bat standard has been introduced for new bats by USA Baseball. This new standard was created to make aluminum and composite bats perform like wooden bats thus taking some of the “pop” out of the bats. This is a new standard that is different from the past standard set by the USSSA which we have been using in the past. The East Shore League board of directors has had discussions on this topic and with other communities in the area. If we entirely adopted the new bat standard then every bat presently owned by players would be instantly illegal. The ESL board has decided not to do that and it does not appear that many other communities are going to the new standard exclusively. East Shore Baseball Leagues (Little League, Rookies, Minors) will allow the following types of bats for the upcoming 2018 league season. Starting in 2018 the “New” Little league of America Certified bats will be allowed, including 2 5/8” bats as long as they are stamped with USA Baseball certification. You can continue to use the “Old” 2 ¼” bats that were previously certified by the Little League of America. BBCOR (-3 drop) bats will continue to be legal to use in the 7th and 8th grade league. These bats also are set to function like wooden bats with less “pop” but and required at the high school level. 2 ¼” bats will remain legal as in 2017. The following email was sent to one of our coaches and prior SPAC Board member regarding a July 7th funeral at St. Peter Church by Jerry Lauby, member of Post 454 Mt Calvary, and Sixth District Commander . Please take a moment to read the feedback that we received regarding the respect that St. Peter and opposing team players, coaches, fans, and umpires had that day. You all should feel very proud of the values that were demonstrated. Sometimes we all get caught up in the importance of the game and winning, but this day we demonstrated that we all understand the truly important things in life. Some of you may have seen a similar post by Chris Twohig on Facebook that now has over 400 shares. For those who did not, I wanted to share this email more broadly. 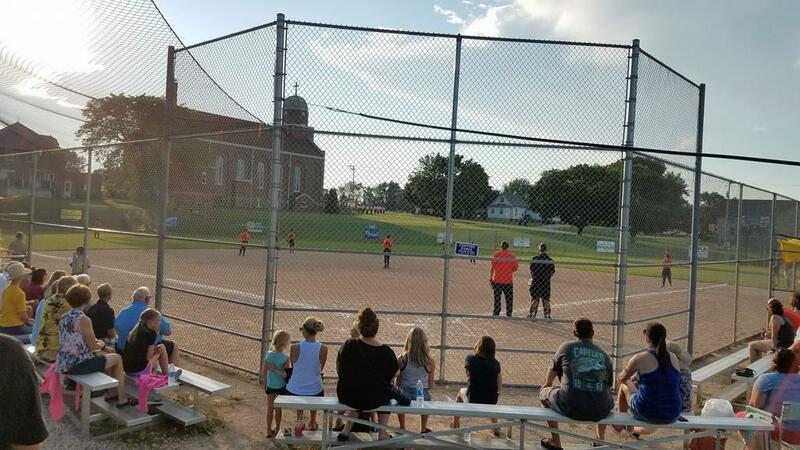 Just a follow-up to our conversation recently in relationship to the youth baseball game during the funeral at St Peter Church. 1. A 21 gun final Salute. 3. Folding of the flag and presentation to a loved one. I refer to the July 7, 2017, the funeral for Ollie Wehner which was held at St Peters Church in St Peter. Ollie was a member of American Legion Post 454 Mt Calvary. The Legion Post 454 detail including family members and friends await the casket to leave the church. At the appropriate time the military service begins. About the time of the 21 gun salute, it occured to several of us that the Youth baseball game going on at the diamond had completely stopped. All players on defense in the outfield and infield stood in silence with baseball caps removed and over their heart. All players in the dugouts, the coaches, the umpires and specators maintained silence with little or no movement. This continued on until the squad was dismissed and the hearse had driven away. Only then did play resume. I want to offer my sincere appreciation to the ballplayers, coaches and team managers as well as the umpires and the guests for this gesture. It is true Americanism at its finest. I am certain beyond a reasonable doubt that the youth of today are a shining example of Patriotism and Americanism all rolled up into one. Please share with the St Peter Athletic Club, the appropriate teams, managers, and umpires.